Abstract: Though there are several electric scooters' brands in the market, when it comes to user feedbacks and media reviews, Airwheel is always the most reliable among them. If one asks his or her friends who ride electric scooter, Airwheel is always recommended. Why? Reinventing mobility requires imagination, creativity and solid engineering. All these ingredients are well mixed in the Airwheel. 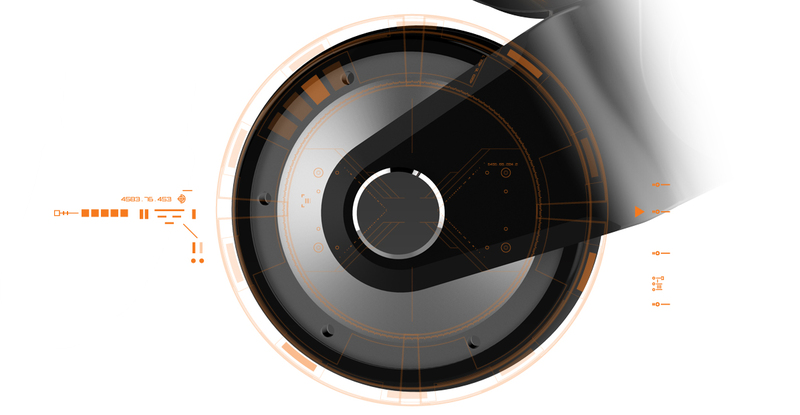 Airwheel's research and develop team gathers the high-tech with years' experience in the area of intelligent electric scooter. It has gained critical acclaim. If one asks his or her friends who ride electric scooter, Airwheel is always recommended. Why? The answer is the high performance cost ratio. Airwheel design team, a great many experts around the globe included is dedicated to bringing the most fashionable elements to every model of Airwheel. It selects the first-class materials to ensure the high quality. For instance, it is coupled with car-level lithium battery, light and delicate, ingenious combination of utility and beauty and the branded Li-ion battery guarantees sufficient power supply. And the customized tires from 3.2 inch (Z8) to 26 inch (R8 electric mountain bike) are designed to be bumpy-patterned for better grip. Also, the brushless motor takes the magnetic encoder as the sensor, with precise controllability, invariableness turning speed which helps save power, greatly reducing friction during running to give riders a smooth and low noise ride. Every part of it is strictly inspected to ensure its quality. Airwheel insists on innovating and making the products that is elegant, eco-friendly, fashionable and compact. Based on different models' target consumers, they are designed in different shapes. For instance, the E6 chooses the X shaped design to make the folding process easier, E3 in OO design contributing to a smaller folding size and R8 lightweight trekking bike in triangular frame formed by a bending long pipe, with an aluminum alloy casting to lock the joint, leading to high performance of crush resistance. No one needs to worry about the safety of Airwheel smart electric scooter. When the riding speed exceeds the speed limit, you will receive reminder and be not allowed to accelerate again. Now, with the Anti-skid Brake System (ABS), the safety of riders goes on improving. Airwheel will response in no time if emergency occurs.